I recently transitioned from home visits to a clinic space. This has been a big dream of mine for many years, so I’m very excited. On this journey, I have gained some knowledge that I’d like to pass along to anyone who may be thinking of making this same change. This information was given to me when I asked for advice in a Private Practice Facebook group. It was and is some of the best advice I have received to date. 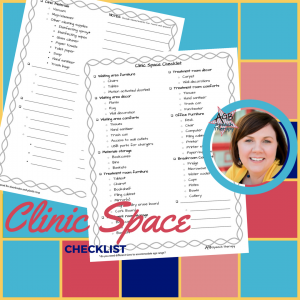 When seeking a location for your private practice there are many things to consider and space available is certainly a high priority. 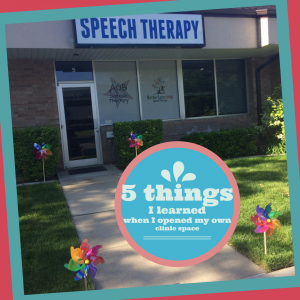 For me, I knew I needed at least three treatment rooms, space for a desk (whether in the treatment room itself or as a separate area within the clinic), easy access to a bathroom, a waiting area and some storage space. What we have leased has all this and then a little more. At first, we thought we would have some empty space, but we’ve filled almost every square inch of the place with useful and functional items. I’d even love to have one more room for an assessment area/conference table. When you’re looking for a building, bigger is better. Knowing we were coming in with some things we already owned, we saved money and budgeted $700 each to purchase new office furniture. BUT, we didn’t include other necessary items like a fridge and microwave for the break room , a TV for the waiting room, a vacuum and step ladders for clinic maintenance. I’ve created a simple check list with most of the items we needed to head back to the store (or sale pages/garage sales) to purchase. I hope you’ll find this one handy. You can download it in my TPT store. 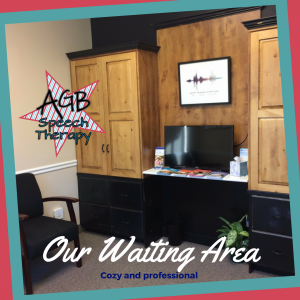 The pieces we chose for the waiting area were more than we had thought to spend initially, but we looked at these as an investment in our clinic and wanted our clients’ families to be comfortable. And that thought takes us to number three. Moving from home visits to clinic visits was a big change for all our clients and was a large concern for some. 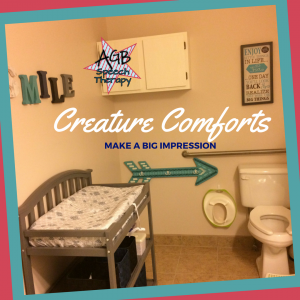 We knew we would need to have some creature comforts for our families to feel welcomed and to help with the transition. 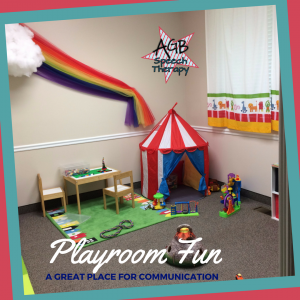 Our playroom provides an area for siblings to be while our clients are in sessions. It’s also helpful to observe our clients interacting with others. We tried to provide a range of toys, games and activities to be sure there was something of interest to all. Our family bathroom has a changing table for the littlest of siblings and we have provided the wi-fi password for moms, dads, babysitters and other guests to take a moment to check emails or catch up on Game of Thrones erm, uh-hmm, business. If you’re a private pay operation this one isn’t for you. Those of you billing insurance should know that updates can take as long as 45 days from your request submission. For me, that included a new location and a new tax ID number. Once you’re certain you have your place (like the day you sign your lease), notify your in-network companies and be sure you’ve made the updates with all involved parties. I’m in-network with one company that has a parent company that deals with our field by contracting to yet another company. I had to contact every party individually to complete similar request forms for each one. I’m still able to bill and process, but I’ve spent a lot of time on the phone with provider relations trying to sort it all out. Be prepared for this. I was not. 5. Being in my own place is SO much better than living in my car! 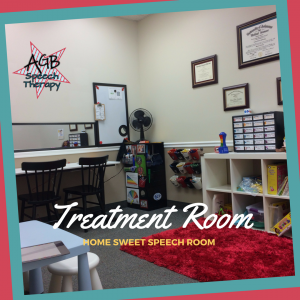 Even with our hiccups and other growing pains, I am LOVING having my own clinic! There is a level of freedom I find hard to explain. In addition, my stress level has decreased tenfold just from not being on the road for 3 or more hours a day. If you’re thinking of making the switch, know there are others here to help you. SLPs are famous for collaboration and there are many helpful Facebook groups and mentoring opportunities for you. I wish you luck and offer my assistance. Feel free to comment below with questions or contact me through Facebook if I can help you.